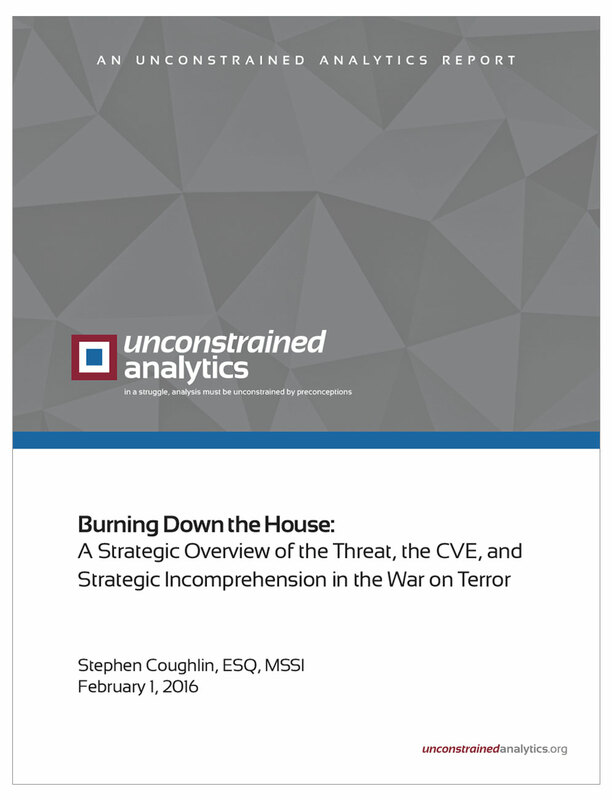 Stephen Coughlin has written a new Unconstrained Analysis report entitled, Burning Down the House: A Strategic Overview of the Threat, the CVE, and Strategic Incomprehension in the War on Terror. This strategic overview argues for how the War on Terror should be visualized alongside the processes that seek to obscure it and reflects analyses undertaken over the years to explain the nature of the threat in light of emerging Countering Violent Extremism (CVE) protocols, how the enemy envisions the war, and how he understands victory. The metaphor is a house engulfed in a crucible of flames. Where the people burning in the house see three players, it is long overdue to understand them as one. Where people see civilization jihad disassociated from assaults from the left, it is time to recognize alliance. The enemy believes he has enjoyed success in the war and, indeed, believes he is winning. This view has merit. The strategic picture painted by this overview is based on the enemy’s self-identified threat doctrine when mapped against the authorities he relies on to legitimize his activities and guide his operations. For this analysis, a decision was made to exclude all bureaucratic programmatics and academic models. It is based on who the enemy in the War on Terror says he is, not on how others define him. The enemy states repeatedly that he fights jihad to impose Islamic law (shariah) and to re-establish the Caliphate. He does not say he fights jihad to force conversion of non-Muslims to Islam. He never states that he fights in furtherance of “root” or “underlying” causes. From a legal perspective, the threat’s stated fidelity to shariah as the law of the land suggests that the threat does not raise First Amendment issues so much as it raises concerns regarding Article VI of the Constitution (“This Constitution shall be … the supreme law of the land”). It turns out that Islamic law, with unsettling precision, supports “violent extremists” to a degree that true moderates cannot match and that faux moderates seek to suppress. This explains why “moderates” of all stripes avoid talking about Islamic law when discussing Islamic terrorism. This overview does not delve into defining doctrines when discussing the threat’s strategic reality. However, it is hoped that the concepts identified here, viewed as a whole, will offer clarity and shed important light on the most serious threat facing the United States today. While all elements of U.S. national power are engaged in kinetic operations against “violent extremists” in places like Afghanistan and Iraq, the primary threat actually defines itself as mujahids, views kinetic operations as a support activity tasked with either sustaining strategic distractions or supporting narratives, and seeks victory against the United States through ideological subversion directed against senior leadership and media elites. This analysis challenges the current conceptual and operational framework and calls for its dramatic reconsideration. A diagram (see page 3) is used to illustrate the three lines of operation along which the United States has come under sustained assault in the War on Terror in much the way that a house can be engulfed in flames. All of these lines of operation, only one of which is kinetic, will be associated with a real-world entity to show how it orients on the objective. 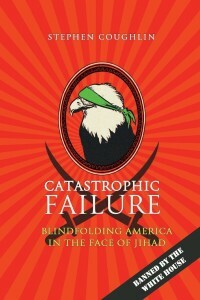 This strategic overview is the product of extensive research that in recent years has informed and supported numerous papers, presentations, a thesis (To Our Great Detriment: Ignoring What Extremists Say about Jihad), and the book Catastrophic Failure: Blindfolding America in the Face of Jihad. Its purpose is to explain how the enemy understands and orients to his universe. A further objective is to advocate a return to true intelligence analysis and urge the abandonment of current analytical processes that sustain the Countering Violent Extremism (CVE) narrative at the expense of a real threat-focused fact-based analysis.